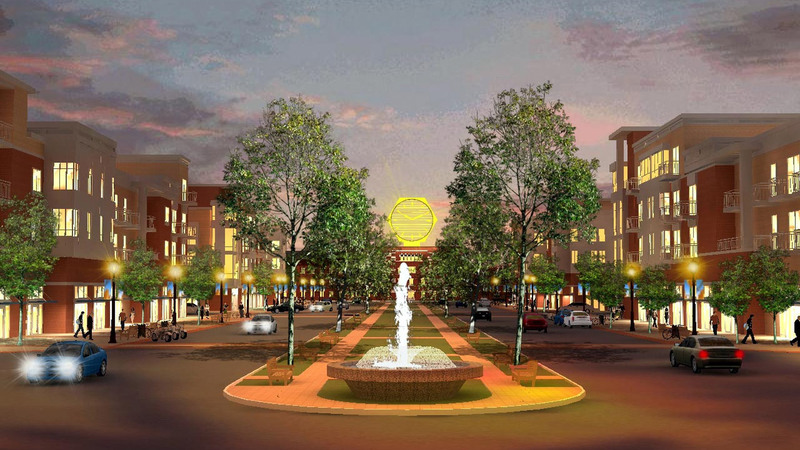 The preliminary Master Plan of the City of Clarksville uses the historical Colgate Clock Building as a defining nucleus and transforms the surrounding area into a vibrant mixed-use development. 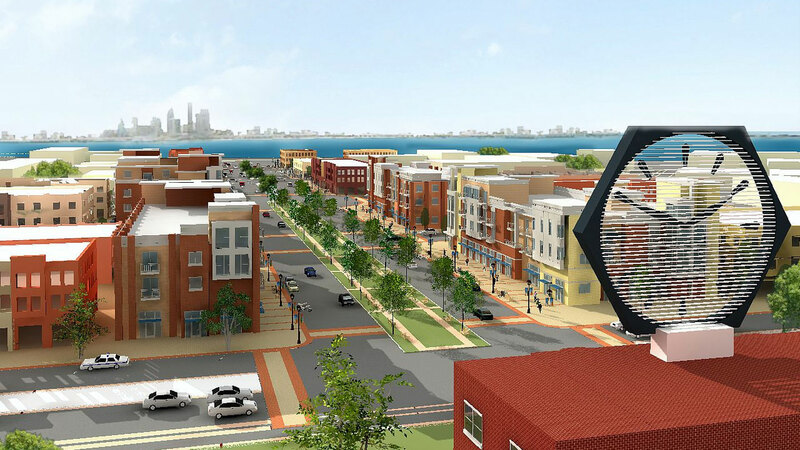 This plan creates a physical and visual focus with the Clock Building as a central hub, by carefully organizing the streets and blending them with the existing urban grid of Clarksville. Main Street, the wide, tree lined, Main Boulevard, provides clear views of the mid-site Clock Building from the river and from Louisville. This plan also provides Clarksville with views of the river and Louisville. And it provides a generous landscape feature at the heart of this plan. The streets are ordered, and the heights of buildings are arranged to emphasize this boulevard and focal core. 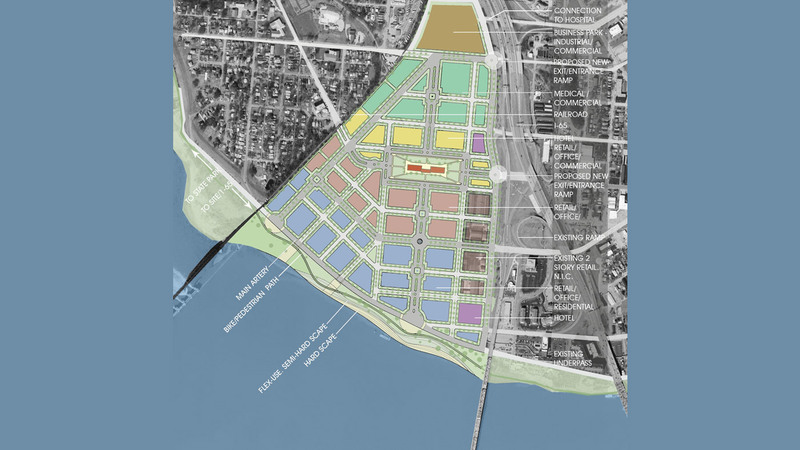 New boulevards are planned to ensure that views of Clarksville from across the river in Louisville, and to the river from within Clarksville, remain unobstructed. The new plan for Clarksville blends the existing city infrastructure with an attractive new urban setting that establishes a strong new image and "sense of place." The circulation and site design expand into the existing urban fabric. It also addresses the city's location next to one of the busiest north-south expressways in the world by taking advantage of this access point and its ability to bring visitors, residents, consumers, and employees into this new urban nucleus. The land along the river becomes an attraction by connecting this development to surrounding areas. Retaining its status as a no-build zone, the riverfront is restored and energized through use of careful landscaping and amenities. This provides a scenic public area that draws visitors and gives them a place to stay and relax. The riverfront will also connect Clarksville to its surroundings. For example, the Ohio Falls National Park will be united with the redesigned riverfront. A path will continue through the site, blending with the bike path that crosses the Ohio River and connects to Louisville. The site geometry, based around a central hub, is structured for a sustainable city center. 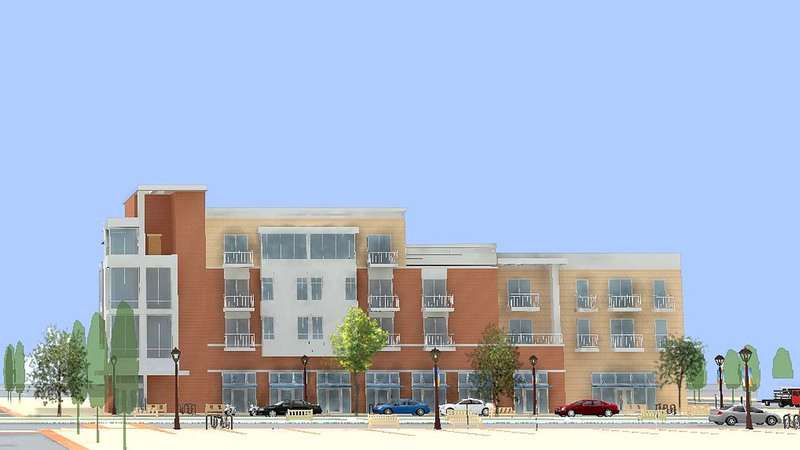 The development accommodates retail, residential, civic, and other uses. 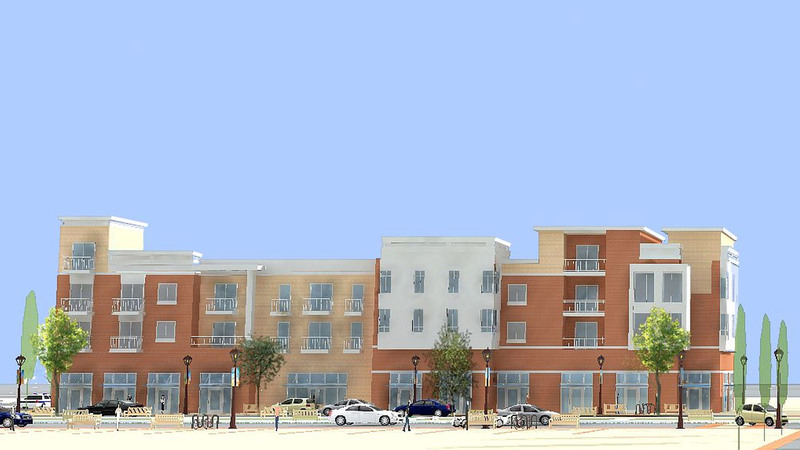 By providing a true mixed-use development, the site design creates a strong framework that encourages growth. Since it does not depend on one building type, city expansion and development can adapt to economic conditions. The plan of Clarksville is designed to form a new identity for the city and set the stage for dynamic growth of the city and the region.